SubText08 ended last Friday at the ‘Many Questions’ non-pub pub quiz. A dozen participants turned up to answer questions while riding a sugar high. The winning team, The Fresh Princesses of Brooklyn, narrowly won the quiz and received book vouchers and the SubText08 Champ trophy (hand-crafted from polystyrene). Jessica won last week’s draw of a $40 book voucher, and Melissa won the main prize, an iPod. Congratulations to all of you! Thanks to everyone who participated. We still have a few prizes left to give away and will be sending those out shortly. If you have the time we’d greatly appreciate it if you could fill in this survey. Keep reading this blog to learn about future happenings planned for youth! Tonight is the penultimate SubText08 event! It will be at the Kilbirnie library, and begins at 6pm. Details can be found here. There is only one more week to go, so get in your reviews and quiz answers. Unfortunately, due to illness, the next quiz (and theme) won’t be ready until next Monday. Which is okay as that’s when the next draw will be announced anyway! Sorry about that. The fourth SubText08 draw was done by the delightful Andrea, and the winner was … Jess! Who also won last week, so double congratulations to you. Newtown’s Teen Idol 2 went off really well on Friday night – the crowd was small to begin with but grew into quite a crowd fairly quickly. Prizes were dished out and pizza (the official food of SubText08) devoured. The most popular song of the night was So Sick by ‘occasional rapper’, Ne-Yo. 2. Newtown was named by an earlier hotelier who hoped a new town would grow up around his hotel. 3. Here is an old postcard depicting the Newtown Library. SubText Teen Idol II: make sure you’re there! 15.08.08 | Permalink | Comments Off on SubText Teen Idol II: make sure you’re there! Hope you’re all warming your voices up for the Newtown SubText event tonight starting at 6pm. There’s going to be singing and cheering and clapping and dancing around and eating and general good time having. The second weekly SubText draw was done by the lovely Andree and Prince Caspian, who is unfortunately a little too small to see in the picture. The winner of the $40 book voucher was D. J. – congrats, matey! Here are some photos from the Subtext games night at Karori on Friday. Braving the awful weather and missing the final episode of America’s Next Top Model (I can’t believe Heather didn’t win), Subtexters enjoyed Wii, Guitar Hero, and eating pizza. Two of you won a prize which should turn up in the mail today. 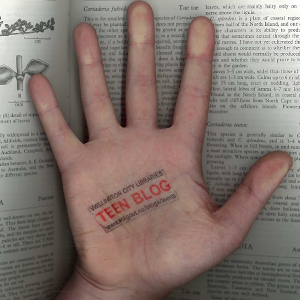 The next event, Teen Idol, will be at Newtown library on the 15th of August. Don’t forget that tonight at Karori library is the annual SubText games night. It starts at 6pm, and there will be lots to do and food to eat. The library will be closed to the public so you will have the place to yourselves. At last – an opportunity to run around and eat junk food in a library! A dream fulfilled for many of us. Interesting facts about Karori; the name possibly comes from a Maori word relating to ‘snare’, or trap. Karori became part of Wellington in 1920, and has one of the largest cemeteries in New Zealand. Last night’s SubText event at Tawa went well – a lot of pizza was consumed, art was produced, songs were sung, and even a dance was, well, danced. We took some photos of the evening – there’s a small selection on the right. Congratulations to everyone who won a prize on the night! The next event is to be held next Friday, the 1st of August, from 6pm to 8pm at the Karori library. Oh, and it’s not too late to register! The first SubText08 event is tonight, from 6pm to 8pm at Tawa library. There will be food, music, and entertainment. Details here. Interesting fact about Tawa; the suburb is named after the Tawa tree, the seeds of which can only be dispersed by two endangered birds, the Kokako and the Kereru. The seeds are too large for any other bird to poo out. Week one of SubText begins! If you haven’t already registered, do it now – then get reviewing and make sure you’re in with a chance to win in the weekly spot prize draws. So what can you do to enter the draw? … that makes a possible five entries each week! But wait, there’s more – if your review is spotlighted on the blog that’s yet another chance to win. Submit a review of a graphic novel or comic to get a bonus entry into this week’s prize draw. Have you never read one, or are you stuck for ideas? Check out the Manga and Comics tags on this blog for inspiration. Come to Tawa Library this Wednesday (6pm) for a street art sketching workshop. There will also be food, music and entertainment and fun times. See you there! Also, don’t forget to enter the Get Off Yer Art competition! Here is the third event planned for SubText08. Last year’s Teen Idol was enjoyed by all, so you won’t want to miss this. Following on from last year’s smash hit, Newtown Library is bringing back the funk! Join us on Friday August 15th 6.00-8.00pm for an evening of laughter and Karaoke good times. Food, drinks and prizes on the night! Come along and show the world, or at least South Wellington, your hidden talents. Don’t be shy, bring your friends or your family along, it’s not often you get to be loud in the library!